Android and Firefox Mobile: tailor made for each other? 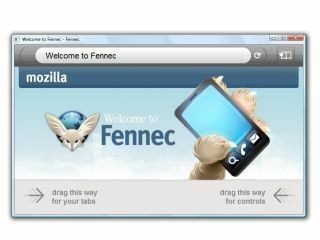 Firefox Mobile for Android is likely to make its debut on the platform later in 2010, according to Mozilla's VP of mobiles. "It's a modern OS, and it's a great fit with us. It's the type of platform that has a high affinity with the early adopter, and it's seen a lot of uptake." "Android has been built on a Java platform, whereas [Firefix Mobile] is based on C and C++ code. Until last year when [the Open Handset Alliance] released the NDK (native development kit) which allowed native code as part of the app, it was simply impossible." "Now we have the decision: do we target Windows Mobile 6.5 or 7? How much architecture will there be to work with?" And while admitting Mozilla didn't know a lot about MeeGo, the new alliance between Nokia and Intel, Sullivan highlighted it as an exciting opportunity. "Nokia has been a great partner for us, helped Firefox Mobile to get better, and we hope that continues. "Mozilla has also been in Moblin (Intel's previous Linux-based platform) for a while, and that company has contributed a lot over the years. "It all lines up pretty well, although I don't know how it will all shake out."